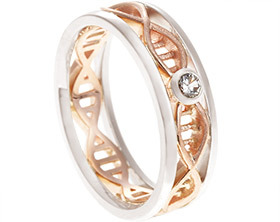 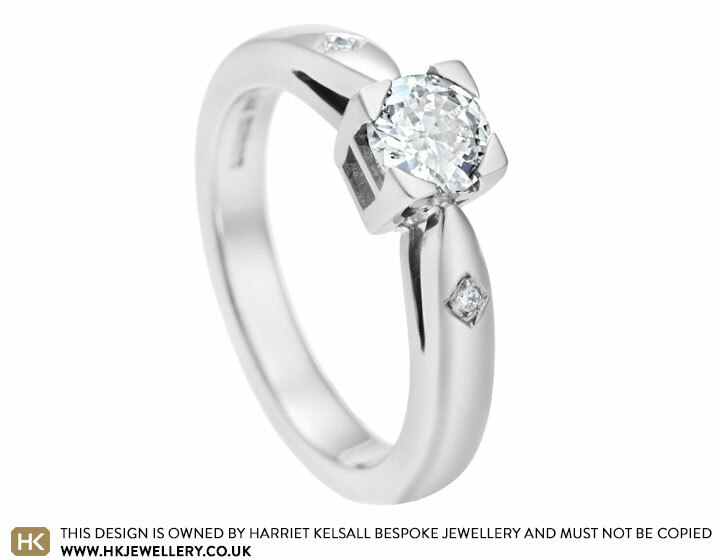 Chloe had inherited her grandmother's engagement ring so Josh brought it along to the studio to see if we could create a design for Chloe based around the original stones. 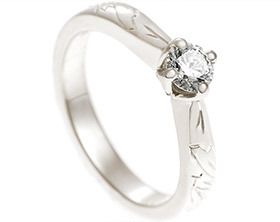 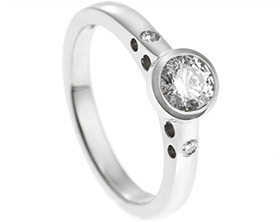 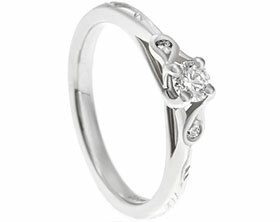 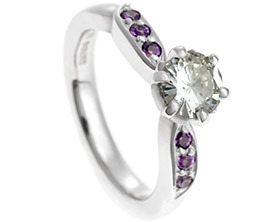 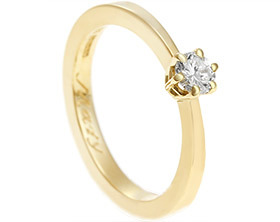 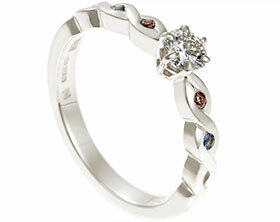 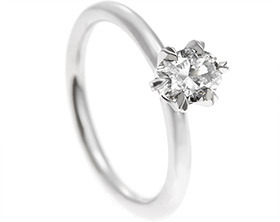 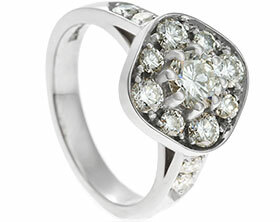 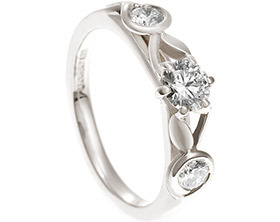 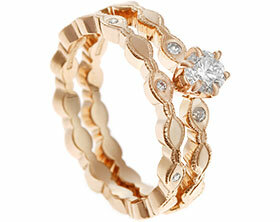 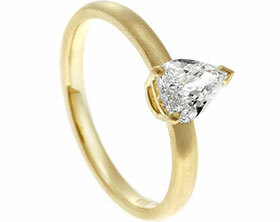 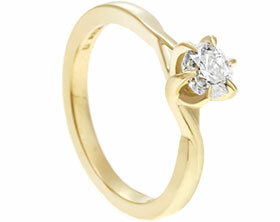 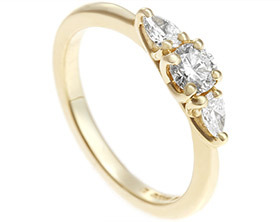 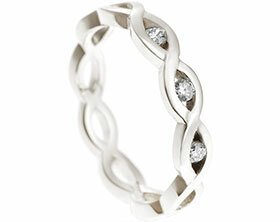 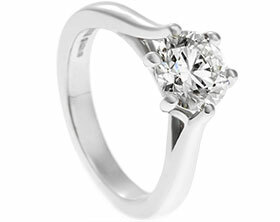 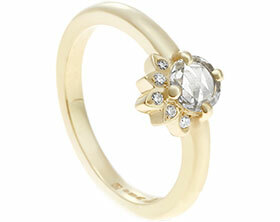 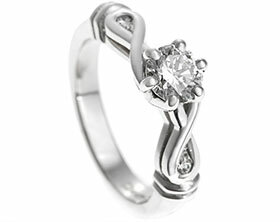 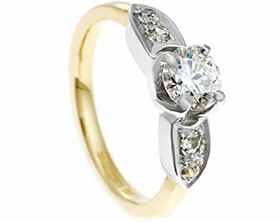 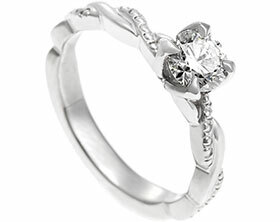 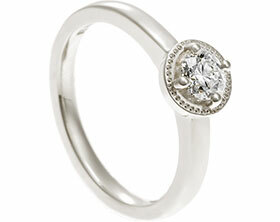 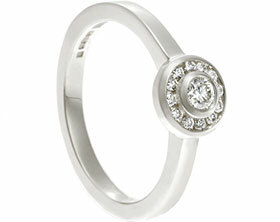 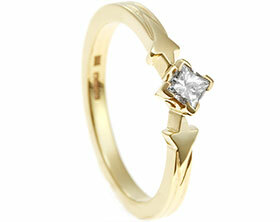 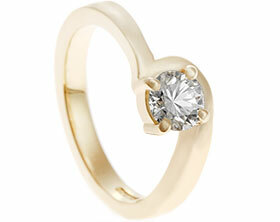 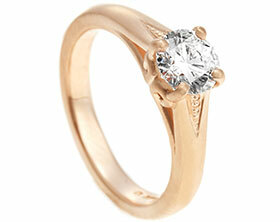 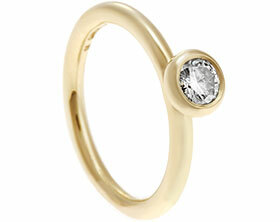 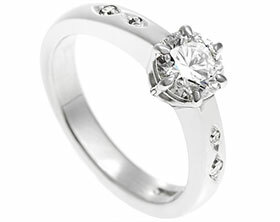 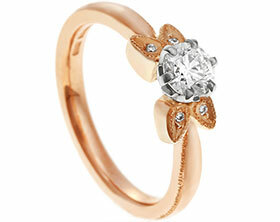 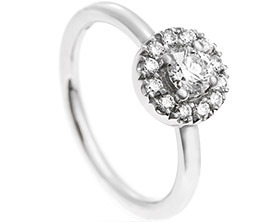 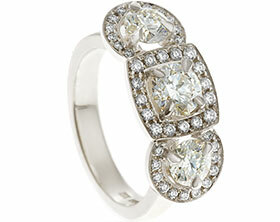 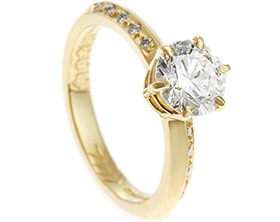 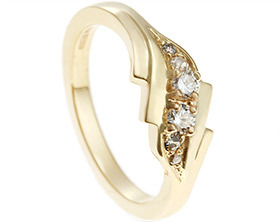 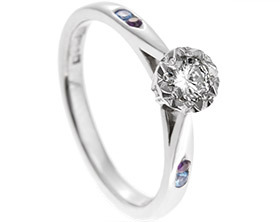 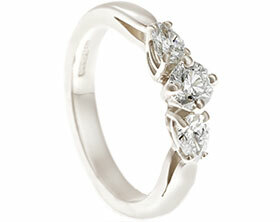 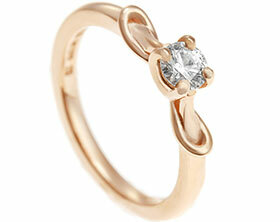 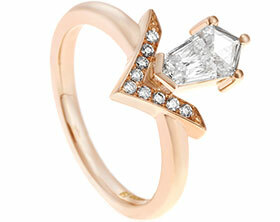 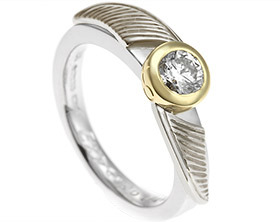 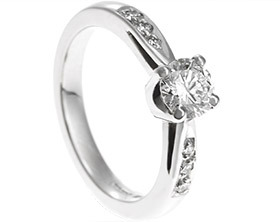 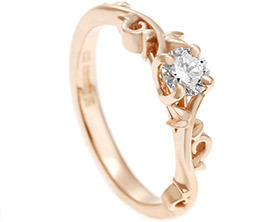 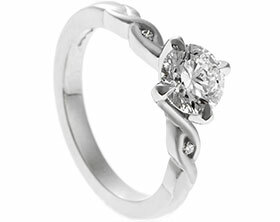 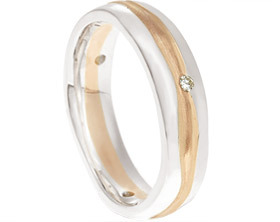 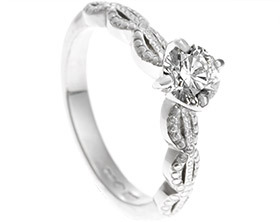 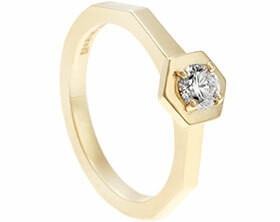 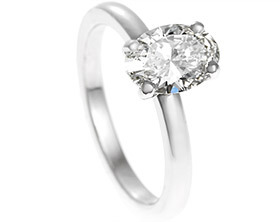 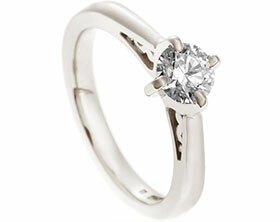 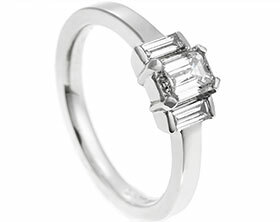 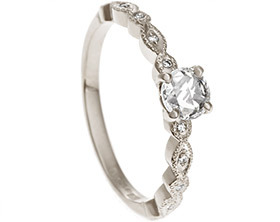 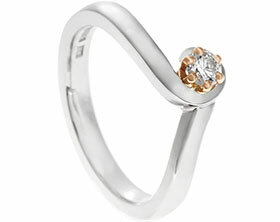 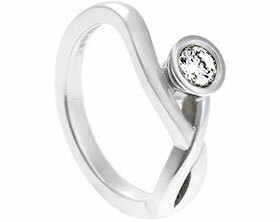 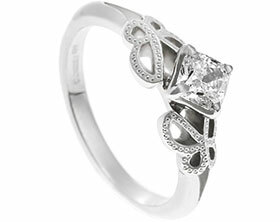 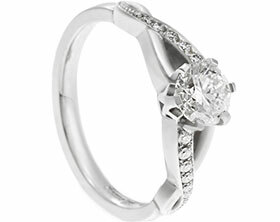 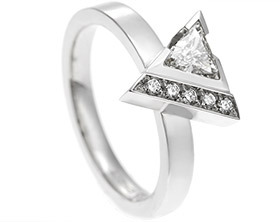 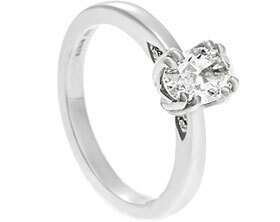 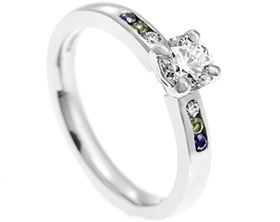 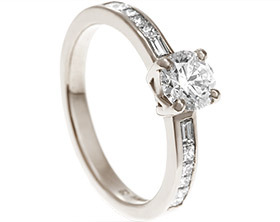 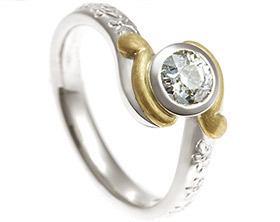 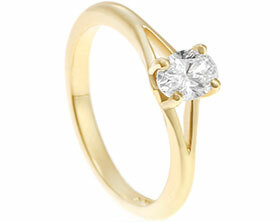 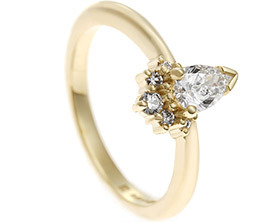 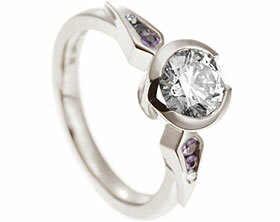 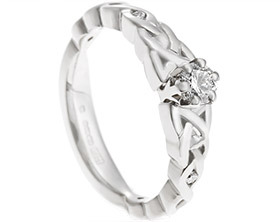 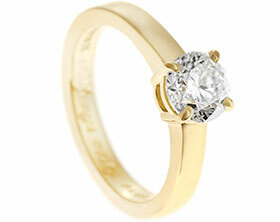 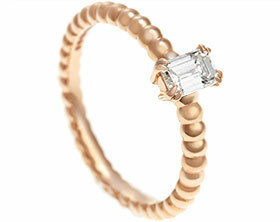 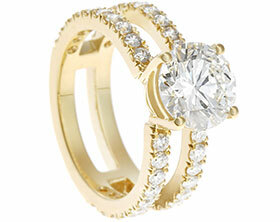 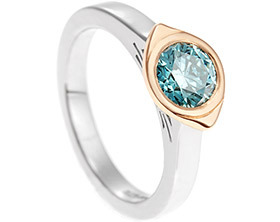 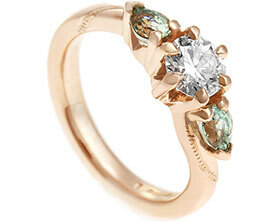 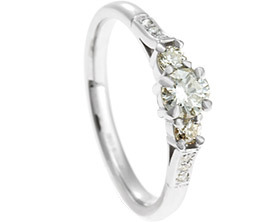 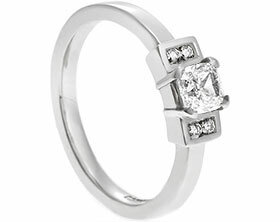 To create a modern style solitaire design the main brilliant cut stone has been set in a square four claw setting. 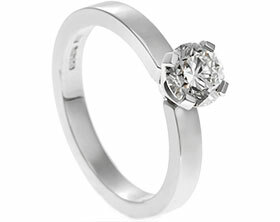 Two smaller brilliant cut diamonds have been set in the shoulder in square all around settings to create clean flowing lines. 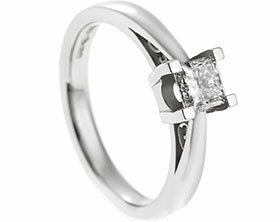 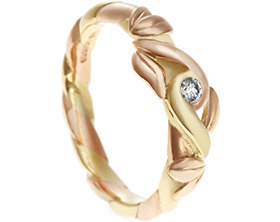 A polished finish completes this classic yet modern design.